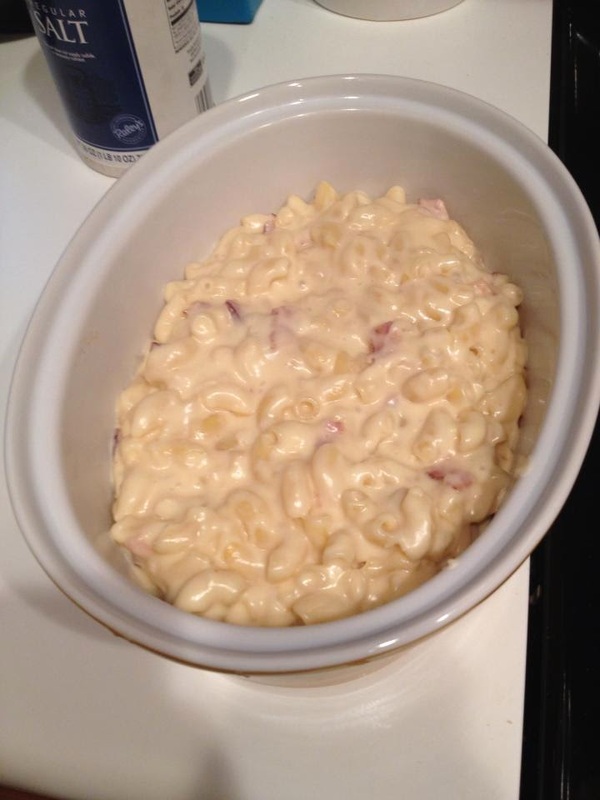 One of my favorite recipes that I've made several times is the Gilroy Garlic Mac from Homeroom. You can find it in their recipe book. When I got this book in the mail, I was SOOOO EXCITED that I ended up making some the very next day. This was the first recipe I ever made that involved more than just following the recipes on the back of the good ol' blue box. And man, was it challenging the first time. I think the trickiest part of this particular recipe is making the béchamel sauce (aka rue sauce), which is basically the "sauce" part of the cheese sauce. Without this, you've just got a big ol' brick of melted cheese (although, not a bad option, either...). Think about when you make a grilled cheese sandwich, how the cheese has this kind of stringy consistency. Without a béchamel sauce, this is the same kind of consistency you'd get in your mac and cheese. Not my personal favorite, but hey, some people might like that. No judgments. Cheese is cheese. The recipe calls for the milk base in their béchamel sauce to be warmed up over the stove top, but since my pots aren't exactly professional quality, I noticed that the first couple times I tried to make it, the milk kept burning at the bottom and it never seemed to heat all the way through. After doing some internet research, I found some microwave options and decided to give it a try. It was so much easier, and so much more effective. I placed the 3 cups of whole milk in a glass bowl and heated the milk on high for about 3-3 1/2 minutes, stopping every 1 1/2 minutes or so to give the milk a little stir. The last two times I've tried this, my béchamel sauce has turned out perfect. Other than the béchamel sauce, everything else is pretty straightforward. Another trick I picked up while browsing recipes online is to grate your cheese on wax paper so you don't dirty up any extra dishes. I share a house with three other roommates, so the less mess I can make, the better. 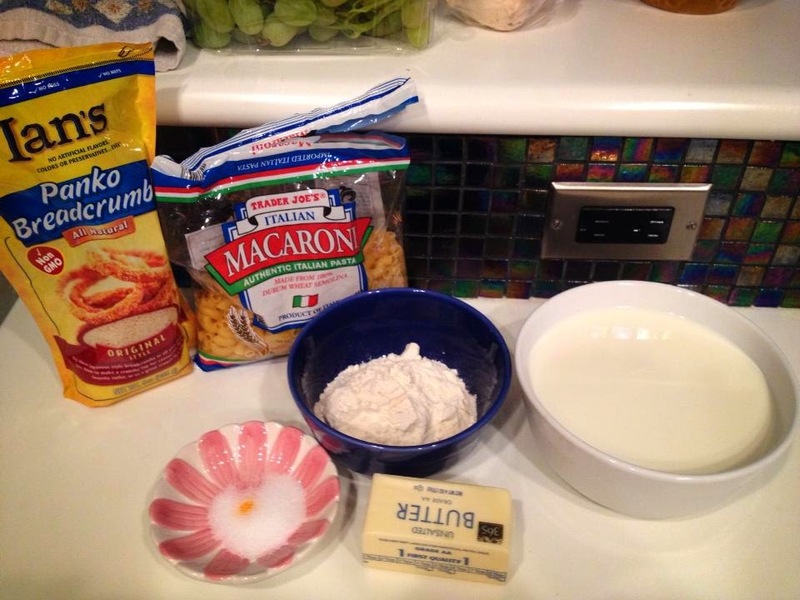 One tip for anyone thinking of trying to make their own version of this, make sure you put the butter in the pot before you turn on the heat to start melting it down for the béchamel sauce. I always seem to forget this and the butter ends up burning and sizzling at the bottom. Last night, I actually set off the smoke alarm and my roommates had to come down and help me air out the kitchen. Talk about embarrassing. I feel like this is some kind of cooking lesson that no one ever taught me, and I feel like quite the idiot whenever I keep making the same mistake over and over. Don't make my mistake. Butter first, then heat. No smoke, no alarm. The flavors in this particular mac and cheese are fantastic, which is why I'm sure it's Homeroom's best seller in their restaurant. You've got 1 1/2 cups of gouda (I prefer a 3-year aged gouda from Whole Foods) and a 1/2 cup of pecorino romano, all mixed in with 4 cloves minced garlic, 3 tablespoons of butter and the béchamel sauce. I like to add bacon bits and toasted panko breadcrumbs as well. All of it blends together with great proportions, with the garlic being very present but without being overpowering. The sauce is super rich and creamy and incredibly satisfying. 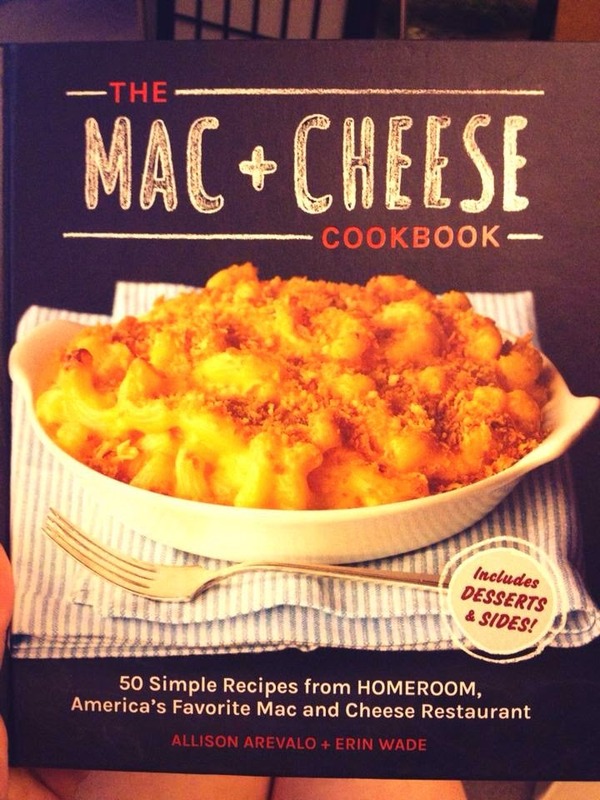 I dream about making this mac. A tip if you are going to toast panko breadcrumbs in the oven. In the book, it'll tell you toast them on a cookie sheet for 10-15 minutes at 400F until they are golden brown. DO NOT do this. They'll burn. I've noticed that it only takes about 5 minutes for the breadcrumbs to be dark and practically burning, so I would either set the oven to a lower degree, or just cook them for a quick 3 minutes or so. I have yet to perfect this, so once I'll do, I'll be sure to share it with you all. Would I make this recipe again? In a heartbeat. I've already made it four times. I'm definitely stoked to try more of the Homeroom recipes in their book, and hope that you will, too!